Securely grips 55 gallon steel drums when loading and unloading salvage drums. Optimize operational processes using YBDCO’s container handling products. We offer an all-steel drum lifter that provides the power and control you need for efficient drum handling. This product is easy to use and is ideal for loading and unloading salvage drums. This high quality lifter is available from right here on our website. We’ll be glad to ship the item out on the same day. 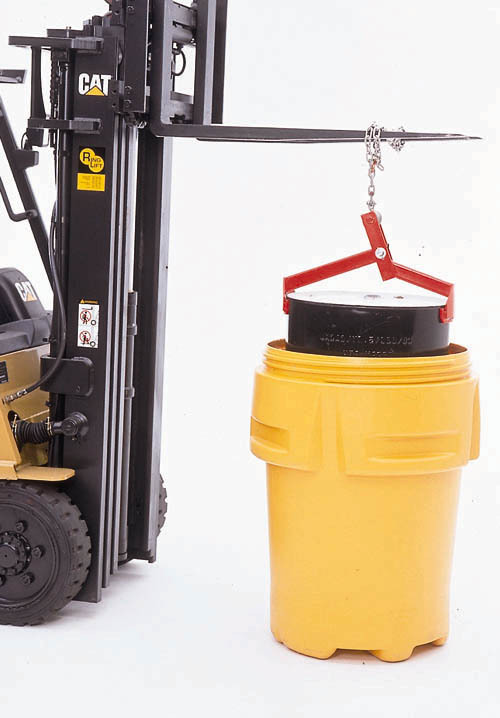 Lifting heavy drums may pose a variety of safety risks. Having the right equipment in place is the best way to get the job done safely and quickly. This will also help improve efficiency in your commercial or industrial facility. Check out the description below to learn more about this drum handling product and click ‘Add to Quote’ to start shopping. YBDCO provides reliable solutions for your shipping, storage, and materials handling needs. Contact us so we can help you choose the right products for your applications.